When most people think of the World Cup, Pakistan likely isn’t the first country to come to mind. As the spotlight turned to host country Brazil and favorites like Spain, Argentina, and Italy, photojournalist Sara Farid set out to capture why this year, her country is playing a major role. Sara spent most of her life as a TV and radio producer. But after the birth of her first child, she decided to pursue her passion for photography full time. 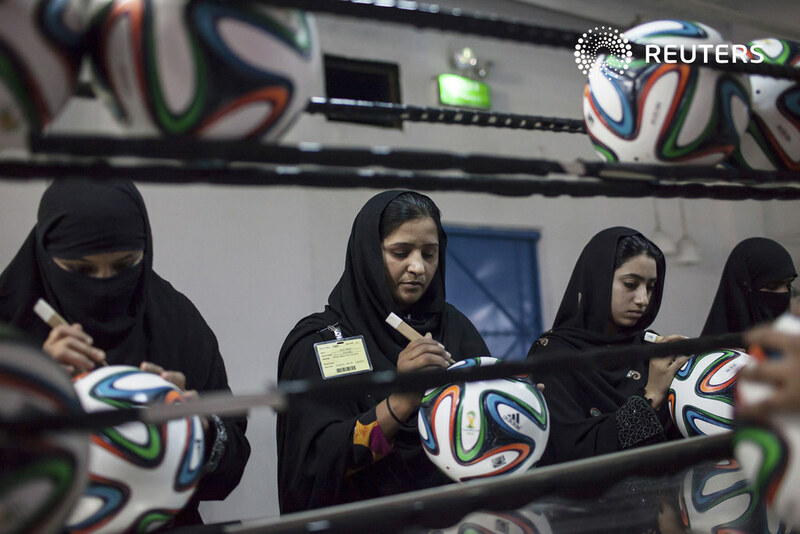 An assignment with Reuters led her to the small town of Sialkot, Pakistan, where a factory owner had just taken on a monumental task: produce the official soccer balls of the 2014 World Cup. 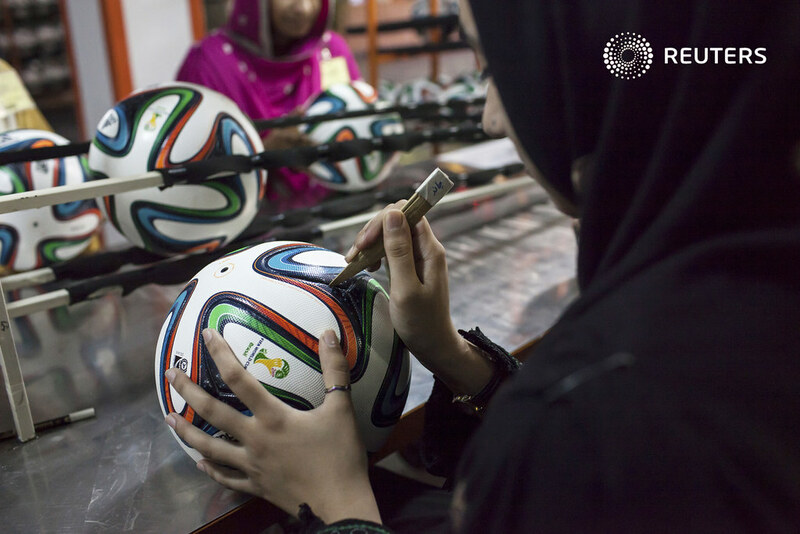 When the Chinese supplier for Adidas couldn’t keep up with production demand, factory owner Khawaja Akhtar took action, renovated his equipment, and offered his services, producing the official match balls in just 33 days. When Sara entered the factory to get the story, something in particular caught her by surprise … it was filled with women. Living in a society where women traditionally marry young instead of taking jobs, Sara was particularly encouraged by the sight of so many women working. “For me that was amazing, because unless women have the opportunity to earn and to be economically independent, they cannot really be independent in the society,” Sara says. 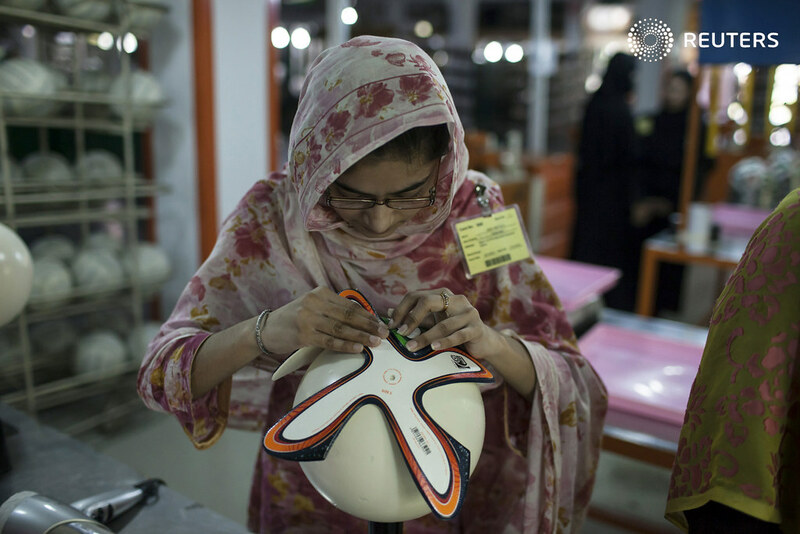 Despite the facts that few women in the factory follow soccer, and Pakistan does not have a participating World Cup team, Sara says the country has still made it to the World Cup, just in a different way. Visit Sara’s photostream to see more of her photography. USA Today readers recently voted on their Top-10 quirky landmark photos, many of which come from Flickr. A big congratulations to all the winners! Our new Flickr Friday theme is all about that special moment when the sun starts its descent and the light turns orange, the magical time for portrait and landscape photography alike: The Golden Hour. Read on to participate.